Having been a mortgage originator since 1987, I have ridden the wave of mortgage interest rate upswings and downswings. Back when I first started, a 30 year fixed rate mortgage resided in the double digits. It was a different world back then, if I refinanced someone’s mortgage down to 11.75%, I was considered a hero. Much has changed since then. The global markets now affect each other in many different ways. If someone sneezes in China, we catch a cold here in the United States. In general, if the bond markets (particularly the ten year treasuries) do well, long term mortgage rates do well. If the stock market is having a bad week, chances are investors will run to bonds, and mortgage rates will react favorably. It’s a lot more complicated than that, but for the purposes of this article, I’m keeping things simple. If you’ve been reading the financial news over the last year or so, mortgage interest rates were supposed to keep climbing in 2019. Instead, mortgage rates are at their lowest level in more than a year. Why? you ask. There are many factors, including what the Fed is thinking about inflation for example. Maybe our current trade negotiations with China have something to do with it. More than likely those are factors, as well as many other things. So what does that mean for you, the home owner or prospective home buyer? If you already own a home but are mired in credit card or other consumer debt, now might be a time to consider a cash out refinance. Is that the answer for everybody? Not necessarily, it depends on a number of factors. Taking a few minutes to speak with a mortgage professional like myself may be in the cards. If you’re thinking about buying a house, you may have hit the lottery. In a year where higher mortgage rates were expected, you get to reap the windfall over rates falling just in time for the spring season. Given that the economic picture may be different next year, I would suggest reevaluating your options and consider buying now, when your purchasing power just got a shot in the arm. Congratulations on being a financial wizard and timing the market just right! Cash Out Refinance vs. Home Equity Line of Credit…Which is Better? I frequently get calls from clients that are in need of extra cash, and are looking for the right mortgage product. The two most popular mortgage solutions are, a Cash Out Refinance or a Home Equity Line of Credit (HELOC). They are not the same, and what works for some does not work for all. Let’s look at these two solutions, and see what the ins and outs are. A cash out refinance mortgage loan is a great option if you have accrued a lot of equity in your home. For example, if you originally took out a loan of $225,000 a number of years ago, and you still owe $125,000 on a home that is worth $500,000, you could refinance the amount you owe and add the amount you need in cash against the equity in your house. The money can be used to consolidate debt, do a remodeling project, or even invest. It is usually a fixed rate unless you opt for an adjustable. As great as a cash out refinance can be, there are a few things to think about before you decide to take out this type of loan. For example, you will be paying closing costs on the entire amount you borrow, which includes the remaining balance of your current mortgage plus the additional cash you are taking out. Does that mean a cash out refinance is not the right solution for you? The answer is, maybe yes and maybe no. Let’s look at the most popular alternative, the HELOC. This is a line of credit that is tied to the prime rate (currently five and a half percent) plus a margin that the lender will usually add to that rate to come up with the rate you will be paying. It is an adjustable rate, in that it will change as the Fed adjusts interest rates that cause the prime rate to increase or decrease. You make monthly payments on the amount you actually take out on the available line of credit. There is usually an initial draw period of 10 or 15 years when you can make withdrawals, during which you will pay interest only. After that, you will enter the repayment period of the loan for the last 10 or 15 years, when your payments will include principal and interest just like a traditional mortgage loan. OK, so which loan is best for you? There are pros and cons depending on your individual situation. Let’s say you need $100,000 to improve your home for enjoyment and to add value. In the example above, your house is worth $500,000 and you owe $125,000. Your current interest rate is 4.50 percent. With a cash out refinance, you would take out a new first mortgage of $225,000 plus closing costs (let’s use three percent or $6750) for a new fixed rate first mortgage of $231,750 at about 4.75 percent using today’s mortgage rates. Your monthly payment going forward will be $1208.92 for principal and interest for the life of the loan. On the HELOC side, you would keep your first mortgage of $125,000 and add the HELOC of $100,000 (assuming you will take all the money out) to do the construction. Using a typical margin of one percent, you will start out at a rate of 6.50 percent paying interest only for the first 10 or 15 years (the draw period). So your monthly payment will be your current payment for principal and interest on your original mortgage of $1140.04 plus your new interest only payment of $541.67 for a total of $1681.71. The variables for the above example can be totally different in your case, so don’t get too focused on the numbers. It’s the principals of the two loans that are the takeaways here. If you currently have a great first mortgage rate and you still owe a substantial amount of money and you only need $50,000 or less, I would opt for the HELOC because it’s just not worth giving up your great first mortgage rate and pay closing costs on the full amount of the new mortgage. On the other hand, even if you have a great first mortgage rate but you don’t owe that much more and you need a substantial amount of money, then it makes sense to look at a cash out refinance. The reason is, because although you will be giving up a great first mortgage rate it is only for a small amount, and although there are closing costs on the refinance, almost everything else works to your benefit. With the HELOC, the rate is tied to the prime rate, which most economists say will continue to increase over the next number of years. Not only will that increase your interest only payments during the initial draw period, but in 10 or 15 years you will add principal to those payments, and if the prime rate is up at say nine percent (a rate I have seen in my mortgage career), you can be paying as much a 10 percent for principal and interest in the future. Just to recap, the factors that should guide your decision are, how much you currently owe on your first mortgage, what is your current interest rate, how much are you looking to borrow, the HELOC rate plus margin, the draw period for the HELOC, the costs of each type of loan, fixed rate vs. adjustable, and the direction of interest rates in general. As you can see, there are a lot of factors to consider and you probably will need a mortgage professional to crunch the numbers for you and help you decide. If you need my help, feel free to contact me. Taking cash against the equity in your house can be a wise move, but always compare taking a cash out refinance mortgage loan against the option of taking out a HELOC and choose the plan that is best for you. Author Lester Bleich, NYS Licensed MLO, NMLS #152252Posted on December 27, 2018 Tags Home Equity, Refinance vs. Home Equity Line, RefinancingLeave a comment on Cash Out Refinance vs. Home Equity Line of Credit…Which is Better? Lately, I’ve been trying to help people with mortgage options that they may not have thought of that will help them with a problem they are having. One example of what I am working on, is for an elderly person that is having serious problems making ends meet; he simply cannot pay his mortgage, cannot pay his bills, and is worried about losing his house. The best solution in his case is a Reverse Mortgage. Reverse Mortgages have changed quite a bit in the last few years. They are safer, with built in protections that make sure that the homeowner will never lose their home. In this person’s case, his mortgage will be paid off, so that will put extra dollars in his pocket every month, and he won’t have to worry about losing his home. An added benefit for him is that it also includes a Home Equity Line of Credit that he can tap into for emergencies that will grow every year. Reverse mortgages are not for everyone, but for some people it’s a lifeline. If you’re 62 years of age or older and think this might be of help to you, I’d be happy to prepare a detailed analysis of your particular situation that will go over all the ins and outs of this ever improving loan, that may be the solution that you are looking for. I also hear quite often from people that are looking to buy a house without breaking the bank. The problem is that homes that are less expensive need lots of work, and since purchase money mortgages do not include cash to update the home, prospective homeowners and their real estate agents simply move on to the next house, passing up on properties that would be perfect in every other way. The option of taking out a home equity line of credit does not work, because by the time the prospective homeowner puts down their down payment, there is no longer any equity to draw from. The solution I’ve been recommending to my clients and their brokers is Renovation Financing. 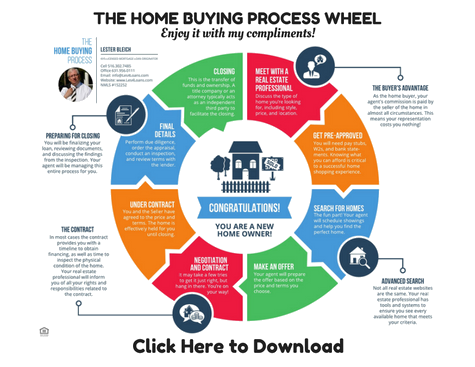 There are some great mortgage products that have started to become popular lately that allow the potential home buyer to add renovation costs to their new first mortgage. It adds a whole new world of possibilities, because suddenly a home that needs a new kitchen, extra bedrooms, etc., is still an option. And the equity part is taken care of as well, because as opposed to a home equity line which uses the current value of the home to determine the amount you can borrow, Renovation Financing will use the value of what the home will be after it’s been renovated to determine the amount that can be borrowed. Imagine the possibilities! There’s no reason to pass up on a house on a great block because it’s just not up to par with what you are looking for. Now there’s a great solution that can make that house your home. Renovation Financing products are not offered by many lenders, and most mortgage brokers don’t really understand them, so they don’t offer them. I’m happy to say that I do, and if it sounds like something that might work for you, I am more than happy to help. Many years ago when my kids were young and in grade school, one of my daughters had a “Take Your Child to Work Day.” The idea was for a parent to take their child to their workplace and show them what we did for a living, and answer any questions they may have. As a Mortgage Broker, I decided to approach the assignment a little differently, by giving my daughter some “real life” examples. So instead of taking her to a boring office to watch papers being shuffled, I instead put her in my car and drove her around the neighborhood. I pointed out various homes that I had helped people purchase or refinance. I made sure not to point out homes of people she knew or mention any names, just to keep things confidential. As we drove around and she asked me the types of questions kids ask, it occurred to me that I was getting as much out of this assignment as she was. I felt proud of helping various people in my community purchase a home and realize the American dream, particularly for those who really needed some expertise to make it happen. And I thought of others who were in some financial trouble that I was able to help consolidate their debt, who undoubtedly still lived in those homes because of what I did. Sometimes when we try to teach our kids a lesson, we learn a little bit about ourselves as well. I guess you can say, it turned out to be a real learning experience for both of us. Interest Rates Have Gone Up… What Should I Do? You’ve been looking for a house for the last year or so and haven’t found the perfect one to call home yet. Or maybe you have but the prices are a little rich for you, so you’ve continued your search in the hope that you will find the perfect house at the perfect price. And then the Fed (as in Federal Reserve) throws you a curve. Yes, interest rates over the last year or so have slowly been creeping up. At first, it was just a little annoyance, after all with rates at around four percent, even if they went up a little, they were still a bargain. Until they reached around five percent, and now they’ve become a concern. Suddenly, your casual search for a home has shifted into overdrive. Who knows where rates are going? You feel like a gambler at the table that maybe stayed too long trying to recoup some early losses. If you find yourself in that situation, I’d like to offer you a little perspective. Interest rates have been my life for the last 31 years. It’s what I do…it’s who I am. Back around 1990, I remember refinancing someone’s mortgage DOWN to the unheard of rate of 11.75 percent. Yes, you read that correctly, there’s no need to repeat it. As the decades have passed in my mortgage career, I have seen rates when they were up and rates when they were down. In the well over a thousand loans I have done in all that time, every person finished their loan with an interest rate, one they felt they could live with. Now let’s face it, rates have been low for a very long time. So low, that if you’re of a certain age you probably don’t remember rates at five percent or above. The new normal has been with us for a long time. So where does that leave you if you’re shopping for a new home and getting a little nervous that the rug is being pulled out from under you? My answer is simple, it’s time to put things in perspective. Although all of my clients ask about interest rates (and mine are certainly competitive), most of my clients are more interested in someone holding their hand through what can be a complicated process and getting a good deal at the end, both on the house and the mortgage. And that is why most of my clients are referred to me by previous clients or real estate professionals that understand what I bring to the table. My advice to you if you’re still looking and getting a little antsy is this. Mortgage rates are still a bargain; they were at four percent, they are at five percent and will be at six percent. Stop looking backwards at what could have been. Instead, look forward at the opportunities that will arise as the Amazon type rate shoppers leave the buying market to those who seriously want to buy a home for their family and enjoy it for the next thirty years. I don’t worry about the rocket type mortgage shoppers who think all there is to financing a home is pressing a button on their cellphone. Those are not my clients. My advice is to find a good local real estate broker that understands what you are looking for. Spend as much time as possible looking at homes. Don’t be too particular about every nook and cranny about each home, and consult with a good home financing professional about your options, so that when the time comes, you will claim your stake in the American dream. 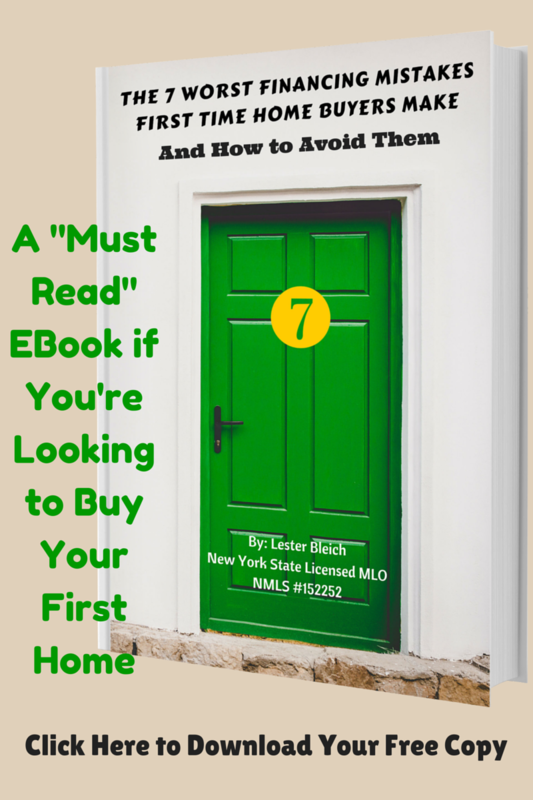 Author Lester Bleich, NYS Licensed MLO, NMLS #152252Posted on October 30, 2018 Tags Higher interest rates, Home shopping as rates go up, Interest rates going up2 Comments on Interest Rates Have Gone Up… What Should I Do? Don’t brush off refinancing just because it seems like a long and daunting process; it is not. An informational call with a lending professional like myself to see how rates compare will only take a few minutes. And besides, isn’t the amount of money you could save worth the time and effort? If you’re sitting with high credit card balances or other outstanding loans at high rates, a refinance can be the perfect answer for you. A refinance can consolidate all your debt and roll it all in together with your mortgage into one low fixed rate. You can even add extra cash for whatever you need. Unlike consumer debt, your mortgage can be tax deductible (ask your finance professional). Seeing your Adjustable Rate Mortgage (ARM) increase after the introductory period can be incredibly stressful and place a squeeze on your budget. Many people assume they’re stuck, but ARMs can be refinanced just like fixed-rate mortgages. You can even switch to a shorter term fixed-rate mortgage, such as 15 or 23 years. The longer you’re planning to stay in the home, the more sense it makes to look into refinancing. If you think you might be a candidate for a refinance, give me a call. A few minutes on the phone or even a short exchange of emails, will allow me to do a quick analysis to help determine if a refinance is right for you. Author Lester Bleich, NYS Licensed MLO, NMLS #152252Posted on August 29, 2018 Tags RefinancingLeave a comment on Does it Make Sense to Refinance? 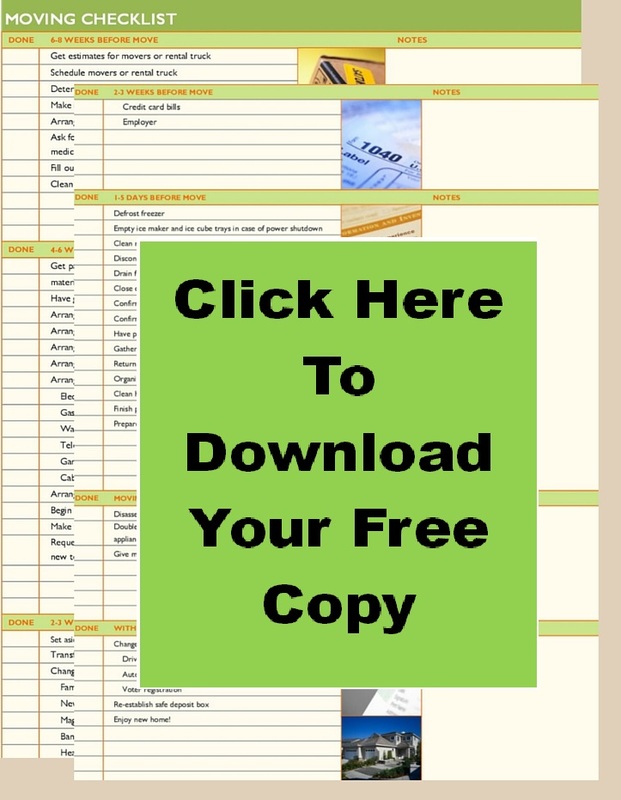 Author Lester Bleich, NYS Licensed MLO, NMLS #152252Posted on June 28, 2018 Tags Forclosures, Short SalesLeave a comment on SHORT SALE AND FORECLOSURE: HOW ARE THEY DIFFERENT? For years now, we’ve been hearing that interest rates will be on the rise, and although there have been some small increases, you’re still in a great position to drastically lower your interest rate. If you have consumer debt, such as auto loans, student loans or credit cards that are at high rates, then consolidating your debt into one low rate makes perfect sense. The idea is to wind up with one low monthly payment that is less than all the combined monthly payments you currently have. And you can have all the costs built into the loan so you have no out of pocket expense. Don’t brush off refinancing just because it seems like a long and daunting process. An informational call with someone like myself to do a quick analysis takes just a few minutes. And besides, isn’t the amount of money you could save worth the time and effort? Ensuring that these initial tasks are taken care of will give you peace of mind before you move in. Mortgage Rates are Rising, What to Do?